With over fifty teams in 12 sports, the athletic offerings for students at Country Day are endless. A supportive school community and decorated coaches help to provide an environment of excellence, both on and off the field. Athletic offerings for the 2017-2018 school year include: football, volleyball, cross country, cheerleading, basketball, swimming, tennis, track & field, golf, baseball, soccer and club lacrosse. Beginning in 5th grade, students have the ability to represent Country Day in several sports offerings. The opportunity to participate in athletics at a young age helps students to hone skills while learning teamwork and resiliency. In addition to a newly completed track, the Country Day campus includes three gymnasiums, a cross country trail, soccer, softball and baseball fields, tennis courts and a weight room. The Athletics staff also includes a trainer and a strength and conditioning coach to work with students. The Hornets are 20-4 for the season and just defeated Calvary 2-0 in the best of 3 series for the 3rd spot in the Region. Baseball uses a ranking system to continue to State Playoffs. SCDS is currently 7th in the ratings. The first 8 teams have a bye, then SCDS should host our first State playoff game on May 2nd and 3rd. 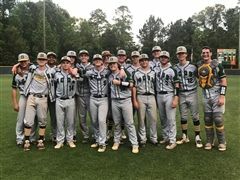 Congratulations to the 2019 baseball team and their coaches! 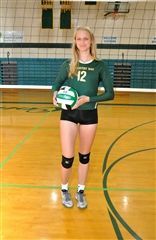 Senior Madeline Wynn has been seleceted by the Greater Savannah Athletic Hall of Fame as the Top Athlete in High School Volleyball for 2019. They will honor Madeline and other outstanding high school athletes at their banquet on May 6th at the Civic Center Ballroom. Madeline will play volleyball for Davidson College this Fall. Former SCDS Coach Dale Parker will also be inducted into the Greater Savannah Fall of Fame. Congratulations to these outstanding Hornets!! 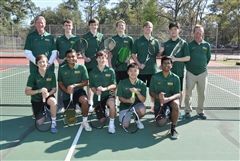 The varsity boys' tennis team is 15-1 for the year. They defeated Brookstone and Mount de Sales Academy to finish 3rd in the GHSA Area 1A Private Tournament. Jarrett Karnibad and Rhodes Pendarvis were undeated in tournament play. The boys will continue to the Sweet 16 of the State Tournament. Congratulations Hornets! The Savannah Morning News honors athletes in their Best of Preps series. Erik Brown, Albert Grandy and Madeline Wynn were selected to the 2nd Team All Greater Savannah for basketball. Third Team honors were awarded to Rhodes Pendarvis. Olivia Carney, Clay Dekle and Caleb Magoola were Honorable Mention. Congratulations Hornets! 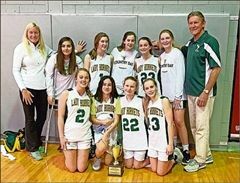 A remarkable three-year reign for the Savannah Country Day Lady Hornets (Gold) seventh-grade girls basketball team continued as the squad defeated Blessed Sacrament 15-8 to capture its third straight SPAL championship. The Lady Hornets, who are coached by the father/daughter duo of Lamar Kirkley and Darla Wynn, have gone 40-0 over their three-year run. This year’s eight-member team, which went 11-0 in the league and 3-0 during the postseason, advanced to the finals by beating St. Peters 36-13 and St. Andrew’s 24-19. The Champions are Katie Bibby, Anna Hardin Booker, Lilla Brennan, Sofia Pablo, Anna Claire Pankey, Sara Sergi, Ella Stone and Stella Wynn.